Hold the Mayo/Salad Dressing, Pass the Vegenaise please! You may have noticed in the Summer Black-eyed pea Salad recipe that I posted earlier, I used Vegenaise versus traditional mayonnaise or salad dressing. The original version of Vegenaise is made with Canola Oil. However, I used the Grapeseed Oil version. Science is showing healthier benefits with grape seed oil, which offers health benefits that include improving the look of your skin and lowering cholesterol levels. Your list of nutritious alternative to many other types of oils should include grapeseed oil. A carnivore friend of mine told me that it tasted like mayo to him. Hmm....Go ahead to your local health food store and buy a small jar. If they don't have it, ask them to get it - they are there for you ;~) Try it and tell me what you think. Mix together all the above ingredients. Chill and serve on red leaf lettuce with sesame seed crackers or pumpernickel bread! Salt is an essential component of our body's fluids. Salt provides the body with sodium which our body needs to help transmit nerve impulses, help muscles contract/relax and assist the body in maintaining the right balance of fluids. However, too much salt results in too much sodium which in turn can lead to a host of health problems. Too much sodium in the diet is a risk factor that contributes to high blood pressure, which significantly increases the risk of developing heart disease or having a stroke. How much is too much? "The 2010 Dietary Guidelines for Americans recommend limiting sodium to less than 2,300 mg a day — or 1,500 mg if you're age 51 or older, or if you are black, or if you have high blood pressure, diabetes or chronic kidney disease (http://www.mayoclinic.com/health/sodium/NU00284 ). Researchers and medical professionals alike agree that high blood pressure is a major cause of strokes, heart attacks, heart failure, and kidney disease. I recently recieved an email from NaturalNews.com which reminded me of why I stop using canola oil sometime ago. Grapeseed oil and sunflower oil are great replacements! You may have been told that avocado is a vegetable that is too high in fat. Phytosterols help keep inflammation under control. 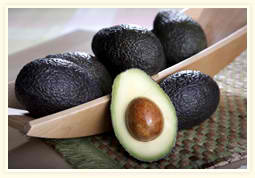 The anti-inflammatory benefits of avocado fats as it relates to problems involving arthritis are well-documented. Polyhydroxylated fatty alcohols (PFAs) provides anti-inflammatory benefits. Oleic acid is a fatty acid in avocado helps our that increases our absorption of fat-soluble nutrients like carotenoids (think antioxidants). Oleic acid is a monounsaturated fatty acid that has also been shown to help lower our risk of heart disease. Combine avocados, agave, lime juice and vanilla in a blender or food processor, blend until creamy. Continue to blend as you pour in coconut oil. Let filling chill for a bit as the coconut oil will solidify and help the filling to be a little thicker.